Times Square, Karoake, and Lasagna! I know, I know..Times Square, Karoake, and Lasagna have nothing to do with each other. But, they do describe different parts of our last few weeks. I wanted to share a few highlights through pictures, since pictures speak a thousand words. 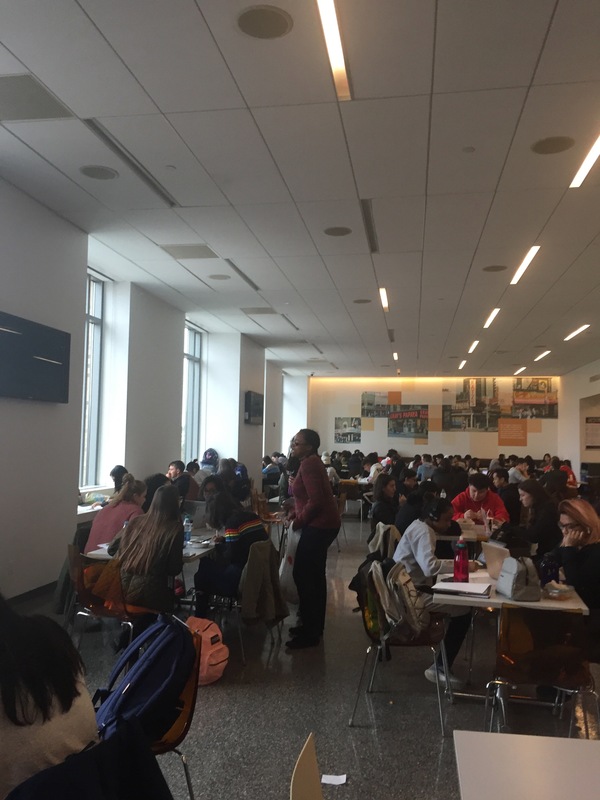 Our students at St. John’s planned and executed an outreach on campus completely on their own! Ya’ll, this is HUGE!! We dream that we can equip each of our movements and train the leaders to where they will plan, lead, and reach out on their campus all by themselves, leaving us to go and launch at new campuses. So, the fact that not only do we have students at St. John’s, but that they are planning and doing an outreach, nonetheless, on their own, is monumental. 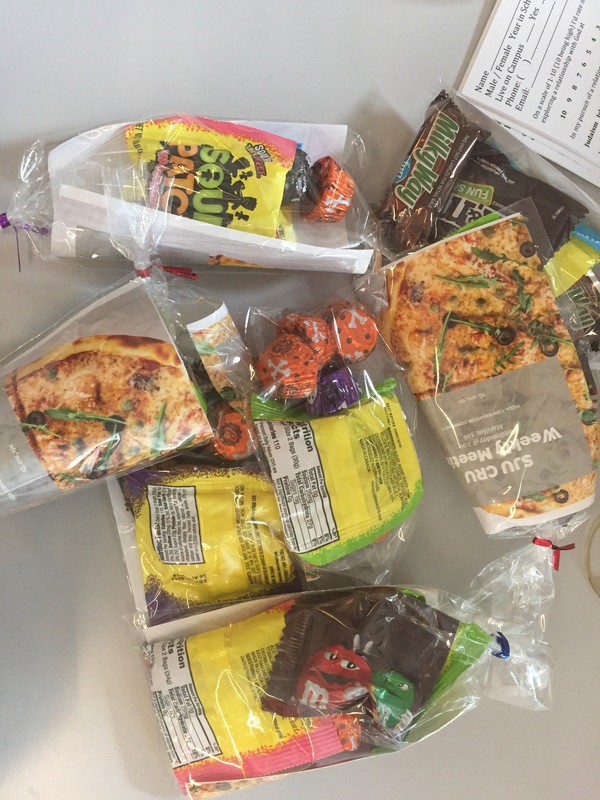 They packed up about 90 bags of candy and handed it out in exchange for students filling out a survey. For many of our students, this was the first time they were initiating conversation with strangers. I was so proud of the boldness and willingness to trust God to do something with this. We now have tons of new contacts to follow up with and hopefully share the Gospel with! 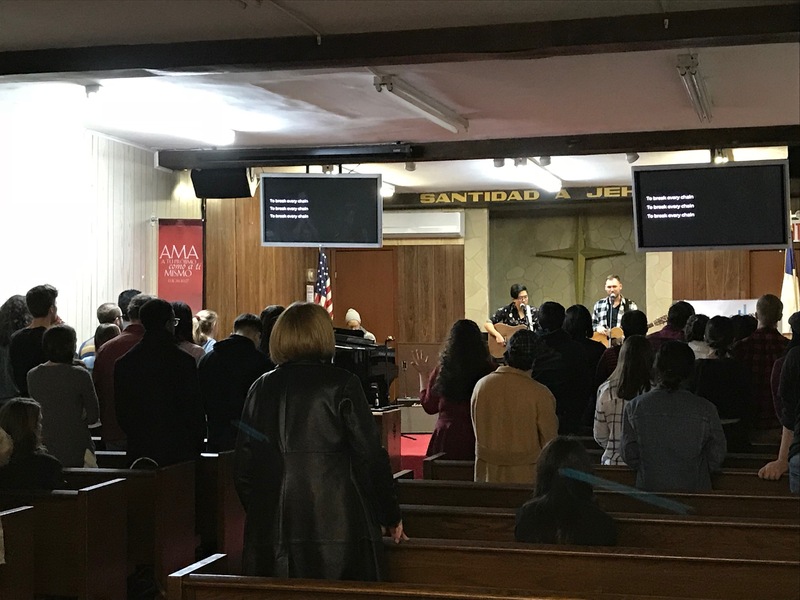 Then, this past week, all of NYC joined together at NYU for a night of fellowship, worship, and prayer – for their own lives, for this great city, and for the world. It was an hour trek from our students from Queens so we weren’t sure how many would come but 11 made the trek down together! They prayed together, worshipped together, sat together, and then went to eat at Chick-fil-a together afterwards. Then, on Monday after Veteran’s Day, the students didn’t have school, so they traveled down to our house and had fun playing games and hanging out. 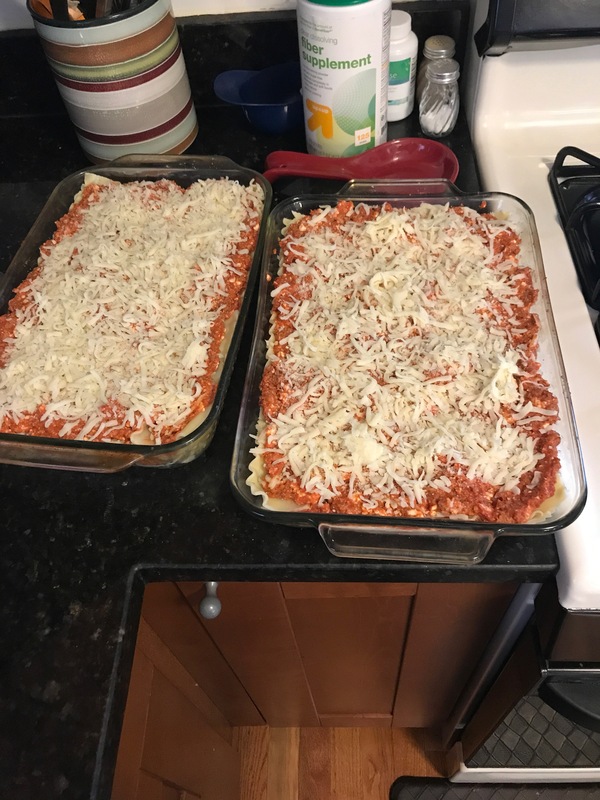 It also helped that we provided a delicious lasagna dinner…college students are always down for some home-cooked food! Our kids also loved hanging out with them and we love that our kids get exposed to college students who love the Lord! 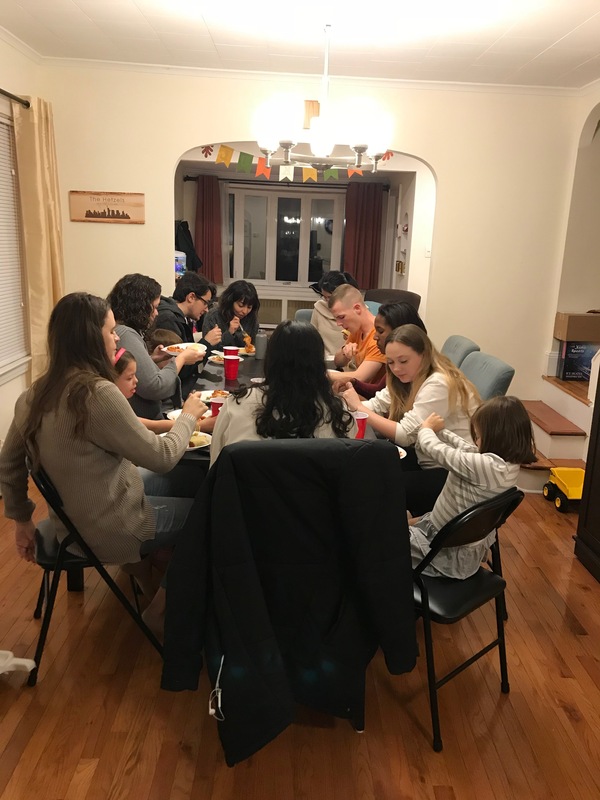 We traveled into Hells Kitchen for dinner with some friends and ministry partners that were in town. 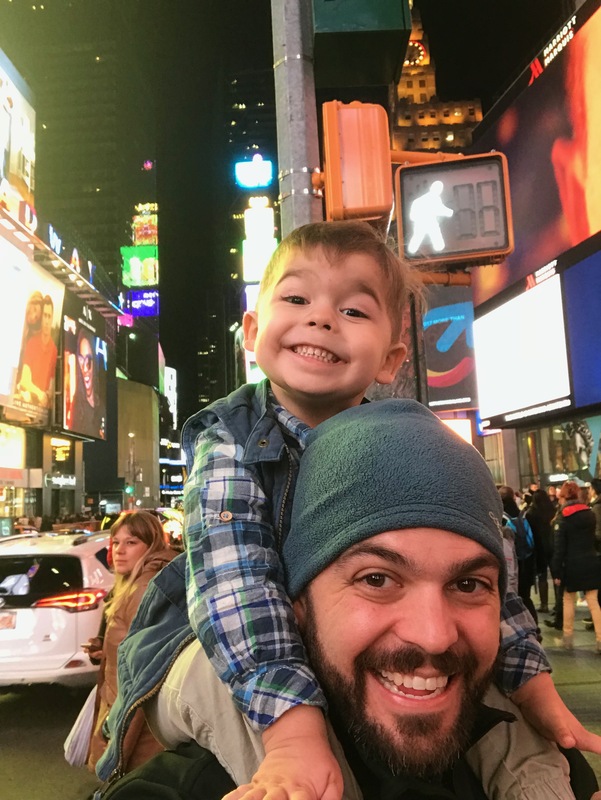 Because of it getting dark early, our kiddos asked if we could go see Times Square at night. Locals to NY (and I consider us this now!) HATE Times Square – like, I think all of them literally. But, they asked nicely and we like our kids to be reminded of this fun city we live in, so we ventured into the madness. And then, they asked nicely to go to the Disney Store, which we agreed to. 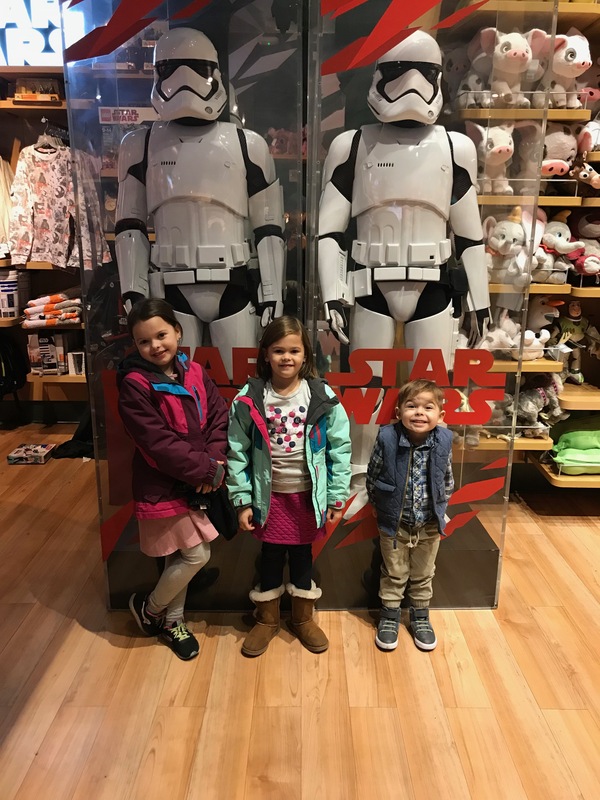 So, this is our kids loving the Star Wars part of the Disney Store. In the South, when you go for karoake, you go to a restaurant and you sing on a stage in front of tons of people. So, when I went to do karoake with some friends from my mom’s small group, I was so shocked that we had our own room and could sing at the top of our lungs and no one knew we were off key except those in our small room. It was so much fun!! We also ate dinner at a Korean-style BBQ restaurant, which was so, so yummy and quite an experience. I am so grateful that there were women with us who spoke Korean and knew exactly what to order – it definitely made the experience much more enjoyable. I will be doing this again soon….so good! I have some new developments in the case of my stolen wallet, but I am waiting to hear from the detective so I will share more soon!